Home / 10 Best / 20 Classic Old School Rap Videos! 20 Classic Old School Rap Videos! May 6, 2008 By John P.
I was perusing YouTube as a walk down Old Skool memory lane and decided to share some of my favorite Rap songs of all time. Yeah, that’s right. John P. loves rap music, so wacha gonna do? What? Don’t be a hater! For all of you playas out there who loved the Yo! 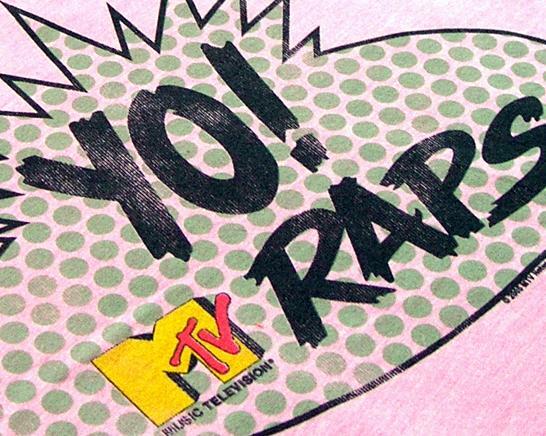 MTV Raps days, I’m gonna kick it for you old skool style – welcome to the new Yo! OMB Raps! With your host… Johnny P. This is a journey into sound. First up we’ve gotta open with my boys Dre and Snoop Dogg. Nuthin but a G Thang is definitely one of the greatest classic of all time. It’s about the struggles of a wealthy white boy growing up in Manhattan and trying to find his way in the world of finance – NOT! Don’t make me bust a cap! Just watch the Dogg do his thang. Oh, and visit Dre’s Website. is available for $0.99 on Amazon.com. Now that Dre and Snoop got you all bow, wow, wound up, kick back with DJ Jazzy Jeff and the Fresh Prince (aka Will Smith) and relax cause it’s summertime. is available for $1.29 on Amazon.com. Ahh, yeah. The original Irish (and Latvian) gangstas makin you bounce. I came to get down, I came to get down, so get out ya seat and Jump Around! Slick Rick drops a little rhyme that you might not ought to share with the kiddies before bed time. You done fightin? Well, for those of you who are lovers, not fighters, here’s Heavy D to tell you what time it is. Damn, boyee! Kool Moe Dee isn’t even from Texas, but the boy is gonna hit the Wild Wild West anyway. Look, he may not want to do it. But since his mama said… his mama said… his mama said… LL Cool J is gonna have to knock you out! That’s because Ladies Love Cool James! We could pretty much serve up anything by the Beasties because all they do is make gold records, but here is a classic because we need to Sabotage this article boyee! Oh, and go sabotage their Website while you’re at it. Yo. It’s time for me to pump up the volume. So for all you Law & Order fans out there, here’s what the original Ice-T was like before he became a cop on TV. Oh, visit the Website. One more time with the Godfather of Rap. What’s his name? Snoop D to the O to the double D, G. Bow wow wow yippie yo yippie yeah, you better go and visit his Website today! Right about now, you’re about to be possessed with the sounds of Rob Base and DJ EZ Rock! If you don’t watch this video, you AND your homies might be lying in chalk! Now visit his Website. Before Wahlberg decided to become a big shot movie star, he was making the chicks drool with his “good vibrations”. Word. Good Vibrations is available for $0.99 on iTunes. Yo! What you think? You know you can’t touch this! By the way, it’s Hammer time over on blogspot, and don’t forget to drop the Hammer on Twitter. Enough with all this playin. Now it’s time to go to work! I don’t care what you think about Robbie VanWinkle now, back in the day he was the shizzle! White boys can’t dance? Talk to the hand. And while you’re at it, visit his site, beeotch! Eric B is going to wrap up this edition of Yo! OMB Raps because frankly I’m Paid in Full and I gots to get back to my jobby, job, job. If you DIGG this to the front page then ther’ll be a nuther edition. Othewise, I guess I’m outta luck fool! So, back in the early 80â€™s there was a young artist who did a rap video that featured him in part riding a single seat hovercraft while looking into the camera . . . does this ring a bell? I donâ€™t know the artist or the rap song (it was in a sort of â€œrap battleâ€/self promoting style) but I do remember liking the piece. He was a very looking skinny kid as I recall. Can you help? John, great list! Slick Rick reminds me of forbidden mix tapes and middle school. Now now, one mans music is another mans noise ehh? Dj Jazzy jeff and fresh prince, my homies… MC Hammer is my favorite of the era. Wow, I haven’t seen some of these in ages. But, not to sure about Marky Mark. I wouldn’t really classify him as classic old skool rap, more of early 90’s pop. Skeelo would have been a better choice. “Wish I was a little bit taller, wish I was a baller…” Nice list tho!! Well this is my kind of music.Some of these are so special to me.John you really did a good job being a Rapper YO!!! I remember most of these :) Cool collection. Eric B and Rakim was the first CD I ever purchased when the CDs first came out way back when. I must have listened to that CD a million times. I could probably recite all the tracks in my sleep. As soon as I started scrolling down this list I thought, Jazzy Jeff and the Fresh Price – that’s the best! But then you see the others and you think…damn it’s so hard to pick the best! All classics. MC Hammer is quality…those baggy trousers lol! John you remind me when l was a teen, when hiphop was kicking me like an alcohol.The time this guys did a great job.All of them are excellent.